We all want our vehicles to run as efficiently as possible, and regular	tune-ups help ensure that they do. At Vancouver Brake & Wheel Ltd,	we have been providing professional tune-ups on our Port Moody and Tri-Cities	clients’ vehicles for more than 20 years – and saving those	clients money in the process. When you visit our	garage in Port Moody, we’ll get you in and out quickly and have you cruising smoothly	in no time. 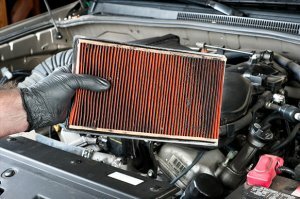 They can help your vehicle run better and last longer. They can provide you with better fuel economy. They allow you to replace faulty parts before those parts cause more major issues. In your tune-up, we can replace your spark plugs, ignition rotors, belts,	fluids, and more so we can ensure that your automobile is in tip-top shape. With our services, you’ll have power when you need it, as well as	the best gas mileage possible for your automobile. We are honest, professional	mechanics who are ready to assist you! Stop by our Port Moody garage, or contact us	at (604) 461-3258! With our comprehensive auto care and maintenance, we can get your vehicle back at optimal performance. We pride ourselves on our ability to listen to our customers needs and the sheer quality of our work. Regular maintenance is recommended for any vehicle to ensure that no problem goes undetected. We are a Port Moody Garage that prides itself in listening to and answering all our clients’ questions.